Though medical marijuana has been legal in California since 1996, voters passed the Adult Use Marijuana Act, otherwise known as Prop 64, in 2016. “Adult use” means that the devil's lettuce, as your conservative aunt used to call it, is now legal in California for any adult who wishes to partake, doctor's recommendation or no. Of course, it still took the state until January of 2018 to begin licensing dispensaries for recreational sales, and a lot of questions remain. 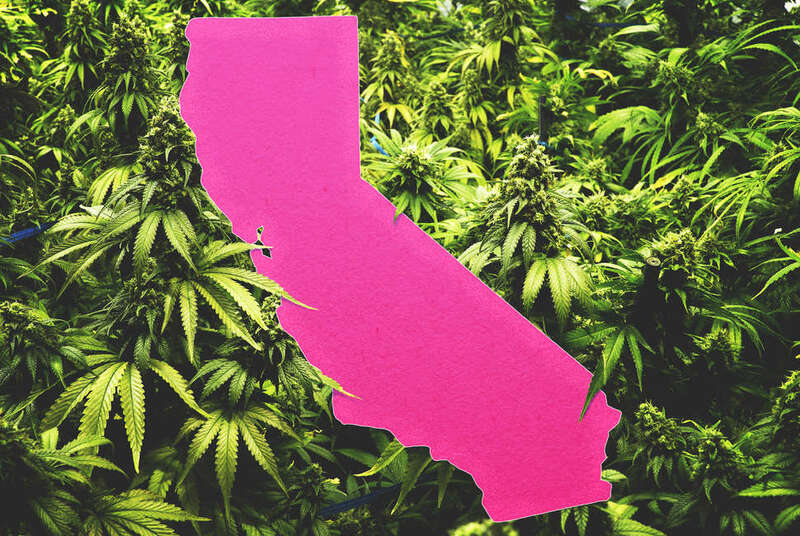 With all this in mind, we’ve created a thorough guide to buying cannabis in California, consulting state law as well as two experts. Jeffrey Welsh is an attorney and the founder of Frontera Law Group, which specializes in the legal cannabis industry. Dina Browner is a medical marijuana advocate, co-owner of West Hollywood dispensary Alternative Herbal Health Services (AHHSWEHO), and served as a consultant on Netflix’s Disjointed. Despite not being a medical doctor, she is best known by the nickname Dr. Dina, which was given to her by fellow cannabis enthusiast Snoop Dogg. The same people who can drink alcohol: adults 21 or over. “The reality is it’s just as easy as going to a liquor store and purchasing beer,” Browner says. Where can I legally buy marijuana? You'll want to find a licensed dispensary approved for recreational sale. Dispensaries approved only for medical marijuana will not be able to serve you unless you are a patient with a valid doctor's recommendation or card. Also, state law requires dispensaries to close by 10pm, so don't expect to saunter in at 1am for a bedtime joint. You can find state-licensed dispensaries via the California Bureau of Cannabis Control here. However, a friendlier option may be WeedMaps or Leafly, where you'll be able to read reviews from other customers and peruse shop menus. Both sites allow you to filter your search results to only show adult-use dispensaries. Alternatively, if you’re an Angeleno local, an even friendlier option would be to check out our own guide to the best dispensaries in LA. Selling cannabis without a license is, of course, illegal, though adults can gift one another cannabis; so, if your friend has weed and would like to give you some, that's OK.
Is buying cannabis the same everywhere in California? Nope. Individual cities are allowed to make their own decisions about cannabis, meaning some may not have any adult-use dispensaries. For example, in Santa Ana, both medical and adult-use dispensaries are allowed, as well as indoor home gardens. You won't find a dispensary in any other city in Orange County, but Anaheim allows both indoor and outdoor home gardens, and Irvine allows cannabis testing. Meanwhile, Los Angeles allows both types of dispensaries and both types of home grows, but unincorporated areas of Los Angeles County allow neither type of dispensary. To learn about your city’s regulations, you can use this extremely thorough, searchable database courtesy of the Los Angeles News Group. You can buy cannabis in several forms, but flower -- essentially dried marijuana buds -- is the one you're apt to have seen before. It can be purchased in the form of pre-rolled joints or by itself. If you buy flower on its own, you'll also want to make sure you have something to smoke it out of (such as a glass bowl); it might seem obvious, but it’s a surprisingly easy detail to overlook if you’re coming from a non-legal state. What should I bring with me to the dispensary? You must bring a government-issued ID that shows you are at least 21 years old. Your ID does not need to prove you live in California, however; adult-use shoppers from out of town are welcome. You should also plan to bring cash, as most dispensaries do not have a credit card machine. Many might have an ATM, but Browner warns that these machines may be out of cash on a busy day like 4/20. How much cash you should bring depends on what you plan to buy. Thanks to new taxes, cannabis prices are higher than they were before adult-use. An eighth of flower, which ought to be plenty of weed, is usually $60 or less; a vape pen, depending on the brand and complexity, can be $30 or more; edibles vary based on their potency. Want a little bit of everything? Benjamin Franklin can probably help you out. What kinds of questions should I ask my budtender? Yes, the folks behind the dispensary counter are commonly referred to as budtenders, and they’re pretty interesting people. 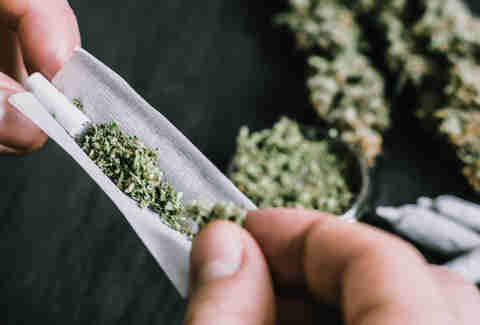 How knowledgeable said budtender actually is may vary, but they’ll usually be able to give you some solid pointers; if you've used and enjoyed marijuana before, tell your budtender about your previous experiences and what kinds of things you liked. They should be able to recommend a similar strain or two. Browner recommends telling your budtender about any medical issues and what kind of feeling you’re hoping to achieve. She also believes in smelling the flower and figuring out which strain’s scent appeals to you the most. Welsh suggests asking the budtender what’s popular with other customers, and, like Browner, what feeling you’re craving. 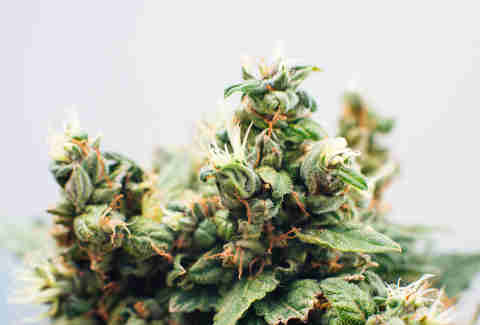 “Some people want to be able to consume and become a couch potato and watch movies for the rest of the night, while other people use cannabis frequently before they work out,” Welsh said, noting that customers who want to feel energized might be pointed to a sativa strains, while those looking for pain management might be led to indica strains. “If you’re dealing with a well-educated budtender, they should have an understanding of what the common experience is based on the makeup of the product.” And of course, if you’d like to do your homework as to what indica and sativa strains actually are, we’ve got a guide for you. What are some good newbie products to try? That's another great question for your budtender. Pre-rolled joints are nice, because all you need is a lighter to partake. Simple vaporizers are good, too. There are single-use pens and rechargeable ones for which you'd buy different cartridges to screw on top. If you’re going to try edibles, Browner suggests "microdosing," which means taking a very small amount. “I tell people all the time it’s a lot like baking or cooking. If you add a lot of salt, you can’t take it out,” Browner said. You can find mints and candies that offer as little as 2.5 or 5 mgs of THC in a single piece. Do not exceed 10 mgs in a single dose, then wait at least two hours before taking more. Recreational cannabis customers will not be able to purchase any edible that contains over 100 mgs of THC in a single package; however, we definitely would not recommend eating an entire cookie with that amount of THC. While no one’s ever died from getting too high, it’s not enjoyable. Welsh does not suggest edibles for newbies, but does recommend easy-to-use vaporizers and products with less than 30% THC. CBD is a naturally occurring compound in cannabis that, unlike THC, is non-intoxicating. While it won't get you high, many people swear by its anti-inflammatory properties and use it as a mood elevator or for pain management, and you can buy it in many forms at your local dispensary, including topical ointments and tinctures. In cities like Los Angeles, CBD additives in cocktails, non-alcoholic beverages, and food became exceedingly trendy in 2018 -- however, then-Governor Jerry Brown signed off on prohibiting CBD cocktails in late 2018, while the FDA and California Department of Public health haven't been too keen on adding it to anything else. Thus, CBD's addition to food and soft drinks at public eateries is still up in the air; Assembly Bill 228, introduced by Cecilia Aguiar-Curry (D-Winters) in January, is the one to watch on that front, as it could allow restaurants and cafes to begin offering CBD as an additive. For now, your best bet is to find your CBD products at the dispensary. Adults 21 and over can possess up to 1 ounce of marijuana or 8 grams of concentrated cannabis at a time. You sure can! Adults 21 and older are allowed to grow up to six plants per household. This means that if you and your roommate both want to try your hand at gardening, the two of you can still only grow six plants total, not a dozen. Also, you can't just start growing weed in your front lawn. All cannabis plants must be kept in an enclosed, locked space that is not visible to the public. You may want to check your local laws for discrepancies on this one, as some jurisdictions have banned any outdoor gardens. For what reason might I want to get a medical marijuana card? You might want to invest in a medical marijuana card if you think you'll need more than an ounce of marijuana or 8 grams of concentrated cannabis at a time, or if you'd like to grow more than six plants per household. Patients may also buy more potent products than adult-use customers, so some patients who rely heavily on cannabis for pain management may find this helpful. You may also want a card for flexibility; you can only buy adult-use marijuana at recreational dispensaries, but patients can buy at any dispensary. 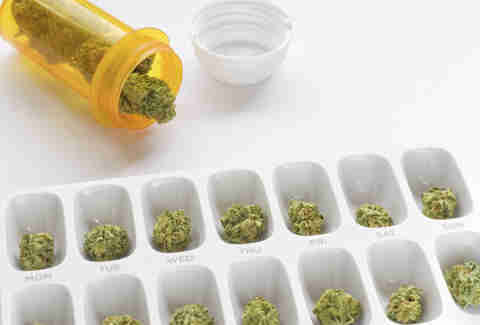 If I choose to get a medical marijuana card, where do I get it? You can go to a local cannabis clinic or you can get a recommendation online. Be wary of scammers -- particularly those who lurk on Hollywood Boulevard, the Venice Boardwalk, or other tourist-prone areas -- as they may try to overcharge you. According to Browner, your doctor's recommendation should cost you no more than $65. Browner notes that patients can also take their doctor's recommendation to their county health department and get a state ID card for $100, which will give patients a break on local sales taxes. Welsh, however, is dubious about getting the state ID card, and would not recommend voluntarily putting yourself on a government list of cannabis users unless it would greatly benefit you. Essentially, it’d behoove you to figure out how much cannabis you plan to consume in a year and how much you plan to spend. You may find you’re just fine going the adult-use route, even if you’re buying marijuana for medical reasons. 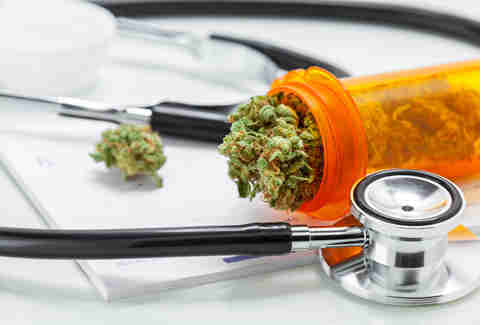 Will insurance cover medical marijuana? Nope. You're on your own there, unfortunately. OK. I've got my cannabis. Where can I use it? Well, that gets tricky. You are not allowed to consume cannabis in public, though our sense of smell tells us that many folks do. If you’re caught and cited, you may face a fine of $100 or more. Technically, you’re only allowed to consume cannabis in a private space. That could mean your own home, and you're probably fine in your own apartment. However, your landlord may tell you to knock it off or your very unchill neighbor could complain if they smell your dankness. You might also find your city is home to a variety of private events, such as 420-friendly dinners or parties. Those are fine. Just as with alcohol, you are definitely not allowed to consume cannabis and drive, so leave your cannabis packaged and put away until you get home. Can I get cannabis delivered? Yes, you can! For some time, cannabis delivery depended on if your area allowed it -- but in January of 2019, new states rules went into effect allowing cannabis delivery throughout the state, even in places where it was previously banned. While some exceptions include public and federal land, schools, and day care centers, your house or apartment is probably fine. Of course, all the same rules still apply to delivery. You'll need to be aged 21+ to buy, and may have to upload your ID to the delivery service's platform as well as show it to the driver when you receive your order. (Delivery company Eaze notes that a passport will work most of the time, but in Santa Clara County, customers must present their U.S. driver's license or ID card to be scanned.) Additionally, you cannot have someone else receive your delivery: the person who placed the order must be the person who accepts it. And just like with ordering a pizza, don't forget to tip! Can I open my own dispensary? It would be very difficult and very costly for you to do that, so we wouldn't recommend it unless you're extremely serious. You might want to try getting a job as a budtender first, just to see if it's the sort of thing you're into. Am I protected from employee drug tests? Sadly, no. Whether your employee is OK with cannabis use or not is entirely up to them, even if you are a medical marijuana patient. Can I take cannabis on a plane? Local law enforcement, assuming what you've got is under the state limit, may at worst decide that you need to toss it. Both the LAPD and Orange County Sheriff's Department indicated to USA Today that they were pretty unconcerned about a little weed. Still, if you're just flying from, say, LA to San Francisco or Denver, it might be more fun to visit a local dispensary once you've landed. If you’re flying into or out of a state where marijuana is illegal, you may wish to exercise greater caution. Check out our comprehensive guide to sneaking weed on a plane for even more info and tips. Is there a particular reason to buy marijuana on 4/20 and not, say, 4/21? You can buy it whenever you like, but many dispensaries will be having parties. Browner noted that both AAHSWEHO and her other dispensary, OG Collective in Cathedral City, are among them. After you’ve figured out what adult-use dispensaries are in your area, check out their websites or social media pages to see if they’ve got anything planned.